Climbing is an activity that involves making ascents on walls of loose, medium or strong slope using physical and mental strength. 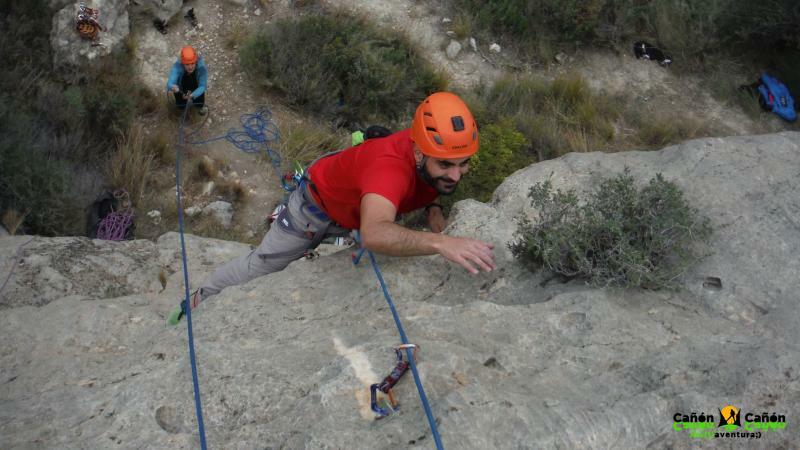 Climbing is considered any ascent either easy, difficult or impossible to perform (depending on the physical state of the person), for this we will mainly use our arms and legs. In climbing there are heights and for our safety we will use protective equipment and the material that we will provide. Visit the heights with Canyon and Multiaventura Canyon. INCLUDES: Necessary material, Monitors, Insurance, theoretical-practical lectures, Photographic Reporting and HD Video. Soon we will also have a portable climbing wall that is a facility specifically prepared to practice climbing. It is equipped with dams, insurance, etc, which makes a very fun and safe activity at the same time. Suitable for all ages and profiles as we can perform from very basic to more complex routes for those who dare. INCLUDES: Necessary material, Monitors, Insurance, theoretical-practical lectures, Photographic Reporting and HD Video. Soon we will also have a portable climbing wall that is a facility specifically prepared to practice climbing. It is equipped with dams, insurance, etc, which makes a very fun and safe activity at the same time. Suitable for all ages and profiles as we can perform from very basic to more complex routes for those who dare.